You can view full results here. (please note there are two tabs on the results spreadsheet, Lay Wins and Lay Draws). This is a re-review of Football Advisor Lays for us, having previously reviewed the service back in 2017 when we gave it a neutral rating after it finished with a profit of 7 points. This time round we gave it an extended seven month review to really give the service a proper look. At the end of that extended trial we have finished with a profit of 23 points, which is decent going. However, it is worth bearing in mind that the total of 23 points combines the results from both the lay wins and the draw lays. Taking them separately, the lay wins made a profit of 37 points where as the draw lays made a loss of 14 points. So really it looks like the lay wins are the ones to focus on – and they were the original offering of the service after all so perhaps that’s not surprising. And in fact they have recently “retired” the draw lays so in fact it is now just the win lays being provided. Combining the results of the lay wins this time with those of last time gives a combined total of 44 points profit, which is pretty good going when you consider you are laying at 1 point level stakes. The strike rate for our trial was high at just under 80% and the ROI respectable too at 7%. So in view of all that we think the service warrants a PASSED rating, particularly if you just focus on the win lays. They have shown consistency over a lengthy period of time and that is what we look for when judging a service. Making a profit through laying is notoriously difficult so we are always impressed when a service manages it. The added bonus with Football Advisor Lays is that you can place all the bets on Betfair and don’t need to rely on bookie accounts. All in all then it is a service well worth considering adding to your portfolio. Ease of use: A very simple service to use and that is certainly a plus point. There is an average of just one bet per day, although this tends to work out as having lots of bets at weekends and then some weekdays and international breaks with none. Tips are normally sent out early in the morning (UK time) and you will need access to an exchange (e.g. 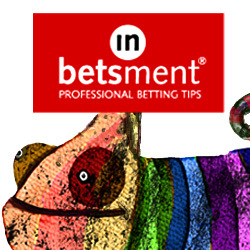 Betfair, Smarkets) to place the lay bets. Availability of prices: Most of the time the liquidity held up well, certainly in the big leagues like the Premiership and La Liga etc, although sometimes prices do get pushed in on the smaller leagues. Strike rate: The strike rate during the trial was 79%, which is good but actually lower than the historical average for the service which stands at 86% according to their results. Advised Betting Bank: An 80-100 point bank is advised for following the service, which should be more than sufficient to cover losing runs. The longest draw-down to date has been 21 points. Subscription costs: The costs are £50 per month, £125 per quarter, £225 for 6 months or £400/year. This is a re-review of Football Advisor Lays after having reviewed it last year and we are pleased to report that after a second look we are upgrading this from a neutral to a PASSED rating. With a combined profit of 44 points across our two reviews when betting on the win lays only, this has established a strong record over a lengthy period of time and clearly has an edge on the markets when it comes to laying. So if this isn’t already part of your portfolio then you may well want to consider adding it at the earliest opportunity. No change for Football Advisor Lays since our last update, with no points won or lost over the last month. That means they are still 12 points up for our trial overall. [Please note there are two tabs at the bottom of the spreadsheet for their two separate systems – the win lays and draw lays]. The broad numbers don’t tell the full story however, as the win lays are 22 points up for our trial, whilst the draw lays are actually 11 points down. Just a reminder that this is a laying system where you place the bets on Betfair (or your exchange of choice). There is no trading needed – just place the lays and then leave them. Anyway, let’s hope for some upward progress by the time of our next update. More progress has been made by Football Advisor Lays since our last update, with another 5 points profit made over the last month. That means they are now 12 points up for the trial overall. The broad numbers don’t tell the full story however, as the win lays are 27 points up for our trial, whilst the draw lays are actually 15 points down. So it’s looking like the win lays are the ones to follow based on the results of our trial to date, but we will obviously keep a close eye on things to see if that remains to be the case. It’s been a good run for Football Advisor Lays since our last update, with 8 points profit made over the last month. That means they are now 7 points up for the trial overall. [Please note there are two tabs at the bottom of the spreadsheet for win lays and draw lays – although the draw lays appear to have been paused for the moment]. It’s nice when you get runs like this in lay betting, with 12 of the last 13 selections successful since our last update, so the profit builds nicely. Let’s see if that continues once the football season kicks off again in a couple of weeks. A small decline for Football Advisor Lays since our last update, with 7 points lost over the last month. That means they are now 1 point down for our trial overall. There have been a few selections for the World Cup but it has been a bit of minefield for punters with so many surprising results so far. Anyway, let’s hope Football Advisor Lays can back to winning ways by the time of our next update. It’s been a good start to our (re-)review of Football Advisor Lays, with 6 points profit made so far after around 3 weeks. However, that doesn’t tell the whole story as there are two sets of lays – win lays and draw lays (which you can view via the two tabs at the bottom of the spreadsheet) and the former have done very well, with 13 points won, whilst the latter have lost 7 points. That is in tune with the longer-term trend as well, with the win lays having made 282 points profit, whilst the draw lays are much newer and have made just 9 points profit overall. So it looks like the win lays are the ones to concentrate on here. Anyway, with the season over it is going to be a little quiet now until the World Cup starts when we should see plenty more action. Following on from launching our review of FA Racing Lays last week, today we are turning our attention to another Football Advisor service. This is one we actually reviewed last year and gave a neutral rating to after it finished our trial with a profit of 7 points. However, given that we will now be taking a look at all the Football Advisor services, we thought it would only be fair to take a look at this one again too. Plus when we did our original review last year, they apparently had an issue with the ratings they use and that negatively affected the results during our trial. So we are happy to take another look at this one and to do a re-review of the service. Just to recap, these are lay bets on football matches (both in the win market and draw market) across various leagues. You just need to lay the bets on Betfair (or your exchange or choice) and that is it, you are done. The results for the service look excellent, with over 50 points profit made since our trial ended in October and 283 points profit made overall since the service started. That has come with a strike rate of over 84%, so a very high proportion of successful lays. We are looking forward to trialling this one and to seeing how it gets on. As usual results will be recorded here for you to check. In the meantime you can check out Football Advisor Lays here. We originally reviewed Football Advisor’s main backing service back in September last year and gave it a neutral rating after it ended our trial with 8 points of profit. Now we have just finished trialing their football lays service and we feel like we are repeating ourselves somewhat, but the results have been remarkably similar. After a three month trial we have finished with 7 points of profit, which again isn’t bad by any means and we are happy to finish any trial in profit to be honest. The strike rate was a healthy 75%, so the vast majority of lays are successful. The return on investment (ROI) was a little on the low side at 1.7%. Although you expect ROI to be much lower with laying services than backing ones, we would still like to have seen that ROI a little higher. The bets are straightforward lay bets in the match odds market and come in a variety of leagues across the world. It is then very simply a case of placing a lay bet at your exchange of choice and then you are done. Looking at how the trial progressed, it started off well before hitting a very sticky patch in the middle. Apparently they had a technical issue with the ELO ratings meaning they were producing the wrong selections for a part of August. Once they revised their selection process it certainly seemed to pay off, with a run of 20 straight successful lays at the end. As you can see from the graph below, it was a roller-coaster ride! In total we ended up with bank growth of 9% by the conclusion of the trial, which is a respectable total. But it didn’t quite hit the heights necessary to warrant an approved rating, so for the time being we feel a NEUTRAL rating is fair for Football Advisor Lays. Strike rate: The strike rate during the trial was 75%, which is good but actually lower than the historical average for the service which stands at 86% according to their results. Subscription costs: The costs are £47 per month, £112 per quarter or £188 for 6 months, which if the pre-trial results were repeated would be a fair cost. We tend to like services that are simple to follow and don’t rely on complex methodologies, ratcheted staking systems or wild hype to justify their existence, so we were looking forward to trialing Football Advisor Lays, which provides simple lay bets in the match odds market. It is a very simple service to follow and the results prior to our trial looked mighty impressive. In the trial itself, a profit of 7 points was made, which isn’t bad at all but we feel wasn’t quite high enough to warrant an approved rating, so we are giving it a NEUTRAL rating at this stage. Given that our trial started in the Summer months when there are less fixtures and taking into account the way things picked up towards the end with a 20-match winning streak and the pre-trial results, this is a service we would like to keep an eye on as to whether it warrants an upgrade. A little bit of a bounce back for Football Advisor Lays after something of a nightmare run last time. Since our last update at the end of August, they have added three points of profit. That means we are now 12 points down for the trial overall. It could have actually been much better as they were on a run of 10 winners in a row before they just hit a couple of losers at 5.2 and 4.6. “The custom team ratings that we use as part of our multi layered selection criteria is a bespoke adaption of the ELO rating model. Regretfully there were some issues with combining the end of season rating with the new season rating, which resulted in what we saw for the last two weeks. Results seem to be trending in the right direction, so let’s hope they have sorted things! It’s been a tough run lately for Football Advisor Lays, which have lost 19 points since our last update. That means they are now 15 points down for the trial overall. Jon who runs the service has apologised for the recent run, which is appreciated as a subscriber – certainly lots of tipsters don’t even bother saying sorry for a poor run. He is also taking a few days off to review the recent results and see where things have gone wrong. Hopefully he will find the solution and be back on form shortly. It’s been a solid start to our trial of Football Advisor Lays, which is 4 points up so after one month. This is a service that advises lays in the match odds market on Betfair. Odds can be quite high, up to 9.0 so far, meaning a decent sized bank is required when following the service. It has been fairly quiet thus far in terms of bets as we have been in the off season, but with the season getting underway now we should volume pick up. They say one good turn deserves another. So after recently launching a trial of a Football Advisor service (their racing one), we decided we would start another trial. This time it is a football one and is actually a laying service – Football Advisor Lays. It is relatively new, having launched in November 2016 but has established a very favourable record since then. The full 2016/17 season brought in 64.19 units at a similar performance level. Since 2013, their approach has apparently made over 211 units profit. Now it isn’t a normal time to be starting a trial of a football system with it being the middle of Summer, but the service still has a good number of bets on the Summer leagues and we are only just over a month away from the start of the full season anyway. We are yet to find too many good laying services, but this one looks interesting so well worth running a review of in our opinion. We will follow the bets for three months (or until we reach at least 100 bets) and will update results here regularly during the trial. The Strict Rule System – Final Review Incredible Black Friday Betting Deals!